Replenix Acne Solutions Review (2018): Is It Safe To Use? Replenix Acne Solutions Review: Does It Really Work? 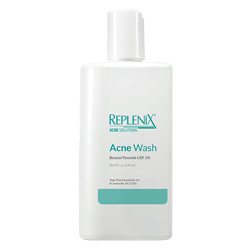 Replenix Acne Solutions Acne Wash 10% 8 oz, US $19 for 240 ml, is a cleanser made specially to help manage the special needs of oily, blemish-prone, and acne-prone skin. Topix Pharmaceuticals is a leading manufacturer of skin care products under different enterprise labels. Replenix is one of the brands that the company directly owns and manages, and is best known for its medical-grade formulations that are mostly fragrance-free and therefore suitable for use on irritable and sensitive skin types. 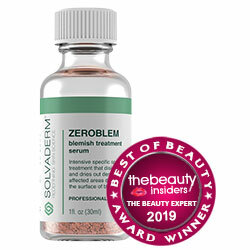 The company holds its headquarters in New York and has been a skin care industry player for more than 2 decades. This product’s work is straightforward: it delivers a 10 per cent concentration of benzoyl peroxide, a top solution for treating and preventing acne, and facilitates the elimination of acne-causing bacteria from your skin. It leaves a cleansed, bacteria-free surface and pores that, with regular use, helps restore the normal balance of micro flora and fauna on your skin, thereby effectively managing your acne. This product is soap-free, and therefore will not cause your pores to become clogged with product residue. The formula is made with medical-grade components that guarantees the delivery of a high potency formulation to help manage your skin condition. This product has been specially designed and formulated for use of people with acne-prone, blemish-prone, oily and combination skin. This product may be too harsh when used on very sensitive or problematic skin. Replenix Acne Solutions Acne Wash 10% 8 oz reviews posted by users indicate that this product can have different effects on different people. Replenix Acne Solutions Acne Wash 10% 8 oz must be used at night or, day and night, depending on how your skin tolerates the formula. The product may have to be gradually worked into your daily routine to allow your skin time to build its tolerance for this product. Replenix Acne Solutions Acne Wash 10% 8 oz. gives your skin one of the best acne ingredients to manage your blemishes and breakouts. However, it does not come without side effects so, make sure that you closely follow manufacturer’s instructions. Some people though will not be able to tolerate this product at all, most especially at a high grade of 10 per cent.